I am working this restoration of my 1973 tii. 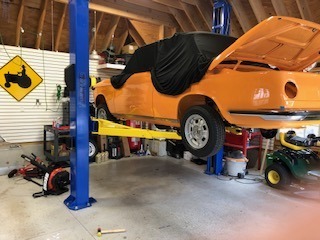 I took the car apart 19 years ago, and I am finally getting to this. I have a problem. My original front seats were thrown away by the guy that was storing the car from me. (Not a problem, he let me keep it in his barn for free for 15 years.) 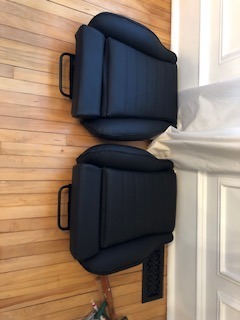 I have recaros from a 320is and I need the seat tracks from the original seats, to mount the recaros in my car. Thanks, I bought a set from a member here. Goodkarmech, thanks for offering.